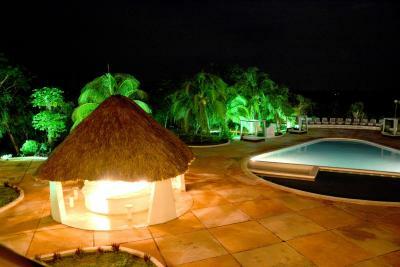 Lock in a great price for Uxmal Resort Maya – rated 8.7 by recent guests! I have stayed a few times at this hotel and find it nicely designed, well located, good restaurant and a perfect place to rest and visit the pyramids. Room was very tidy, a little difficulty with the a/c controller but it worked with some persistence. The magical views in the balcony and the beautiful surrounded! Very helpful and responsive staff. Good restaurants. Large clean rooms. Nice environment. 5 minutes walk from the archeological site. Going to bed to a Fantastic sunset and waking up to the multi-color birds singing was fantastic. The room is comfortable and quiet. Excellent shower. The food in the restaurant was very good. This hotel is a gem. And we live in the Yucatan so we know hotel quality here! 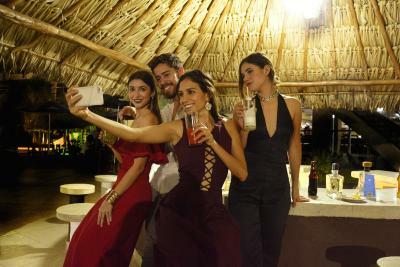 Uxmal Resort Maya This rating is a reflection of how the property compares to the industry standard when it comes to price, facilities and services available. It's based on a self-evaluation by the property. Use this rating to help choose your stay! 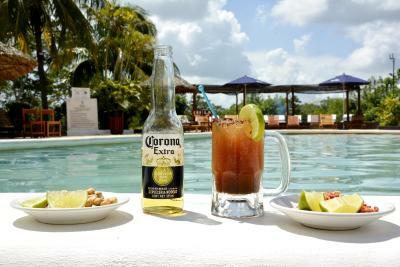 Amid the Yucatan jungle, Uxmal Resort Maya offers an outdoor swimming pool, wading pool and free Wi-Fi connection throughout the property. 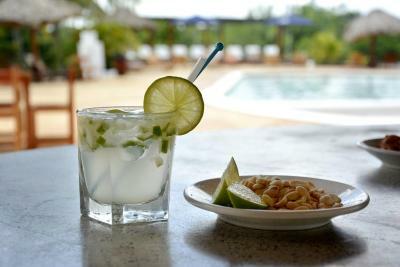 It also features terraces, and the front desk staff may help with information about popular sightseeing. The light decorated rooms are air conditioned, have safety deposit boxes and a flat-screen cable TV. The bathroom comes with a hairdryer. 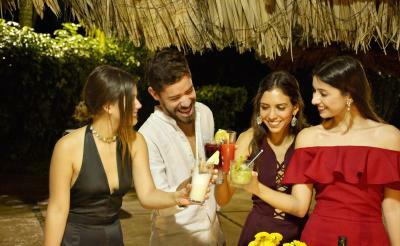 At Uxmal Resort Maya, the on-site restaurant specializes in regional and characteristic Mexican cuisine. Uxmal ruins and archaeological site are 1.4 mi south from Uxmal Resort Maya. Merida International Airport is 1 hour and 10 minutes’ drive away. The Bolochohool Cenote, one of the main attractions of the region is 1 hour and 30 minutes’ away by car. 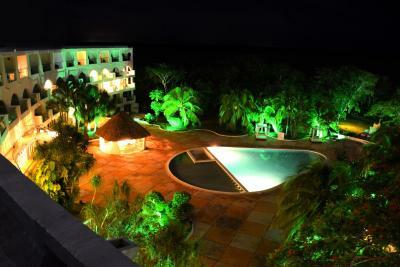 When would you like to stay at Uxmal Resort Maya? Decorated in light colors, this room features air conditioning, a furnished balcony and a flat-screen cable TV. The private bathroom has a hairdryer. Complimentary coffee service is available and ironing facilities are provided on request. This air-conditioned suite features a flat-screen TV, a wardrobe and a private bathroom with free toiletries. It also comes with a balcony with pool views, as well as a safety'deposit box and a coffee maker. 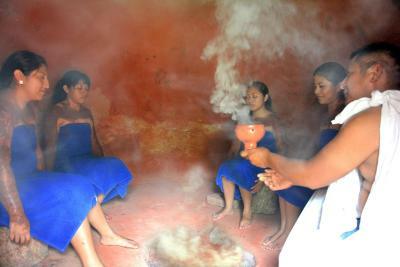 The Temazcal treatment is carried out in a rustic mud hut, where guests are covered in mud in order to receive the energy the shaman (a Mayan priest) transmits through incense and other ancestral techniques. 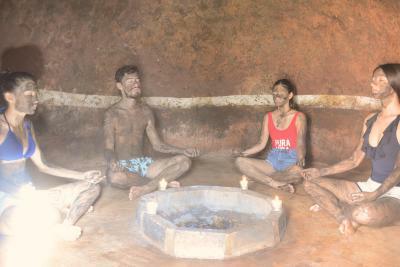 After finishing the ceremony, the mud is washed off with clean water, which represents the rebirth of the participant with a new internal harmony. The ceremony is carried out Monday through Sunday at 09:00 and 17:00. 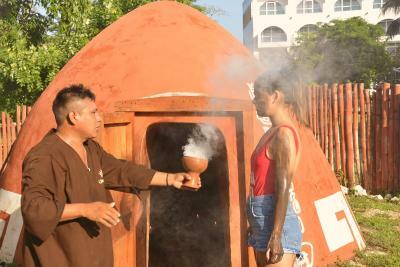 House Rules Uxmal Resort Maya takes special requests – add in the next step! Uxmal Resort Maya accepts these cards and reserves the right to temporarily hold an amount prior to arrival. Spacious room and very nice pool. It is also very handy to have the restaurant on site considering there is not much around at night. Perhaps they could offer a shuttle from hotel to the entrance of the ruins. We enjoy walking so we took the 2 kilometer trail parallel to the road and it was fine, another day we requested a cab from Muna. We were ok with these options but I think a shuttle would be great. Property had rented out pool area to busload of teenagers for the afternoon and consequently there were no lounge chairs or palapa chairs available. If the property is full , maybe 10% of guests could find a shaded place to rest around the pool. if you want wifi in your room better stay close to the central area. Great view from 3rd floor. Professional reception. Meals were excellent value and super friendly service. Spacious super clean rooms. The food was not great, unfortunately. The ceviche was cooked, and the caprese salad was served with lettuce. The service was nice, but the dishes were not as expected when we ordered. The pool was also cloudy and unclean, possibly due to the large number of swimmers the day before, but I didn't want to swim in it 😕. Service was nice, the hotel was very clean, and the room was spacious. 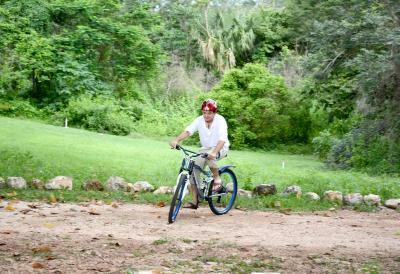 It's a very quick drive to Uxmal, and very quiet in the jungle. I slept very well. There were only a few sun beds with no cushions. There was a very loud and intoxicated group of people in the evening but this isn't the hotel's fault and it does not matter that they are Mexicans vacationing in Mexico. Loud and obnoxious is loud an obnoxious anywhere and disrespectful to others. The size and shape of the hotel. Not the best architecture, though very easy to navigate and quite spacious. It's a bit outdated, but still very clean. I used the phonenumber that Booking.com provides for the accomodation to ask for an early check-in. The lady on the phone told me it was fine and she made a note of it. At arrival nobody knew about this and they had to make a room available (which was done in a couple minutes). The phonenumber provided at Booking.com is the general number for this hotel concern which has multiple locations. The number belongs to the hotel in Merida. Booking.com should provide the phonenumber for location Uxmal to prevent this situations. Also a fridge in the room would have been nice and the pool could use a bit of renovation. New paint. All in all I absolutely LOVED this hotel and I would come back anytime! Unfortunately I stayed only one night at this amazing resort. The location is perfect. 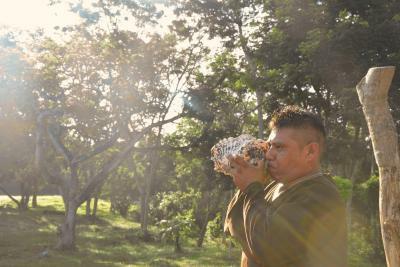 The Uxmal ruins and chocolate museum are right around the corner. The room I got was huge and superclean. Friendly staff helped me with my luggage. Bed was very comfy. Airco works fine, WiFi not that great. View from balcony was incredible. Safe available in the room. The water pressure of the shower was SO nice!! Finally a nice shower in Mexico. Roomservice was available. Parking is free right in front of the hotel. Breakfast was included and very tasty. All the food and drinks in the restaurant were delicious. I enjoyed the afternoon at the pool. Towels available at reception. Options for massages and laundry also available with extra charges. View with swimming pool is very cool ! Everything!!! Pool!!! Staff!!! Pricing!!! Walking distance to uxmall pyramides!! !parking free!!! When we were there it was quiet. We liked the fact that we could relax by the pool. There was a slight whiff of drains when we arrived in our room but this cleared after we used the shower. We ate several meals at the hotel. While the breakfast was fine, we found the food at lunch and dinner bland and disappointing. The hotel is a short drive (or long walk) from the ruins at Uxmal. There’s a pleasant pool with hammocks and sun beds, much appreciated by us after a long day visiting ruins. Our room was a good size and had a panoramic view of the jungle, we could just see the top of the ruins in the distance. Amiable staff. Ease of getting there. Basic but comfortable. The view.